Hare Translation Journey: The Gospel and the "Noble Savage"
The Gospel and the "Noble Savage"
In the final book in the Chronicles of Narnia, there is a great battle between those Narnians who follow Aslan and those Calormenes who follow a god named Tash. Aslan (a great lion, who we first encountered as he created Narnia by singing it into existence) is a thinly veiled image of Christ. Tash is a horrid bird like creature that smells of death, and could symbolize any number of false gods. An ape and a donkey joined together with a tisroc (a leader of the Calormene people) and claim that Aslan and Tash are actually the same god. Of course, in the end there is a great battle and their falsehoods are made manifest. 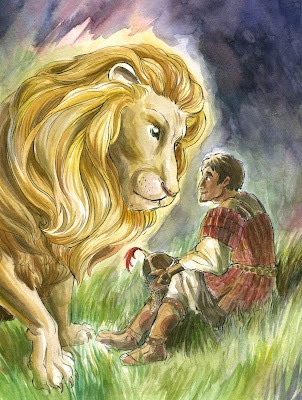 When the Pevensies find themselves at the end of the story in Aslan's country, they are surprised to find Emeth, a Calormene, sitting under a tree. "'Alas, Lord, I am no son of thine but the servant of Tash.' He answered, 'Child, all the service thou hast done to Tash, I account as service done to me.' Then by reasons of my great desire for wisdom and understanding, I overcame my fear and questioned the Glorious One and said, 'Lord, is it then true, as the Ape said, that thou and Tash are one?' The Lion growled so that the earth shook (but his wrath was not against me) and said, 'It is false. Not because he and I are one, but because we are opposites, I take to me the services which thou hast done to him. For I and he are of such different kinds that no service which is vile can be done to me, and none which is not vile can be done to him. Therefore, if any man swear by Tash and keep his oath for the oath's sake, it is by me that he has truly sworn, though he know it not, and it is I who reward him. And if any man do a cruelty in my name, then, though he says the name Aslan, it is Tash whom he serves and by Tash his deed is accepted. Dost thou understand, Child?' I said, 'Lord, thou knowest how much I understand.' But I said also (for the truth constrained me), 'Yet I have been seeking Tash all my days.' 'Beloved,' said the Glorious One, 'unless thy desire had been for me thou wouldst not have sought so long and so truly. For all find what they truly seek.'" Lewis, C. S. The Last Battle: The Chronicles of Narnia (pp. 188-189). So, the Calormene was able to enter Aslan's country (i.e. Heaven) because he had been faithful in his worship of Tash. His good deeds (which he did in Tash's name) were counted to him as righteousness because all good deeds belong to Aslan and not Tash. This is of course fiction. 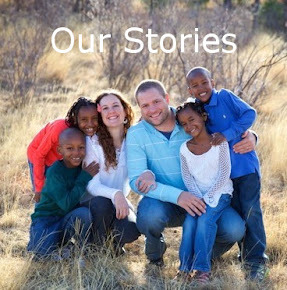 It is a story about talking lions, beavers, and British children. This is not the Bible. However, as far as I can tell, this imaginary scene was drawn from the real-world theology of Lewis, which is not an uncommon one. The idea is that there are people among the nations who have never had the chance to truly know Jesus, but they are accepted by God anyway, because of a faithfulness to what they did know. No one uses the term now, but in the past such people have been referred to as "Noble Savages," living without knowledge of Christ, yet also not distant from their Creator. The Bible is hardly ambiguous when it comes to the state of man apart from God. None of us are good, not even one. None of us understands, we have all turned aside. And the Bible has a word for people who are in this state: worthless. Let's think about us Christians for a moment. We believe in and love Jesus. Yet, we fall short of the system we have bought into. We still sin, disobeying God and hurting one another. If we, Spirit-indwelt Christians, still fall short of our religions expectations, why would we believe people in any other religious system would do any better? Among the Kwakum, in our village, there is a strong emphasis on generosity and never withholding aid from someone when you can give it. And yet, they find ways to hide money, or dodge friends that might ask for it. And this causes fights and quarrels that often end in violence. Even among the non-religious, there are still values and standards which are upheld as important. I worked with a man who claimed to be an atheist in America. He was a staunch feminist and believed that women should be held in high esteem (even perhaps higher than a man). And yet, on more than one occasion he told me about how he had fought with his wife, yelling at her and hurting her feelings, which ultimately caused him to feel great shame. If we say that the standard for the non-believing is faithfulness to their own system, we find that all have fallen short of that too. Had he existed in the real world, Emeth would have a great problem, and it would not merely be growing up with misunderstanding about God. Like you and me, Emeth would be a sinner, violating not only God's commands, but his own. Of course, this problem is not secret. The Bible lets us know that we are sinners and are therefore distant from God. The truth is, every single person in the world needs to be saved. And God, in his infinite wisdom and grace, has offered to us a path for salvation: grace through faith. Does that sound like Aslan? No! God says that when the Israelites were worshipping another god, they were whoring themselves, going after detestable things. He told them that they defiled themselves. The Bible teaches us that God does not consider acts of service to other gods service to himself. Instead he hates them. Any act that is done in God's name or in the name of any other god, that is not done in faith, is nothing but a "filthy rag" before Him (Isaiah 64:6). One may respond to this by saying that the Emeths of the world are acting in faith. They are doing righteous deeds on behalf of God, they just do not know his name. Elsewhere, CS Lewis said, "We know that no man can be saved except through Christ; we do not know that only those who know Him can be saved through Him." But again, we have to ask the question: "Is this what the Bible says?" There is much that could be said in regards to the requirements for salvation in the Bible. Clearly there were many people saved in the Old Testament that never knew Jesus' name. However, it is also very clear that there is a shift in the New Testament. There were many mysteries that were elucidated through Christ, and through the teaching of his disciples. The requirement of salvation has always been focused on faith in what God has revealed. Abraham was told that he would have many offspring in Genesis 12. But God did not immediately give him a son. And in Genesis 15, Abraham expresses his angst and confusion, crying out, "O Lord God, what will you give me, for I continue childless, and the heir of my house is Eliezer of Damascus?" (verse 2). But the Lord assures him that he will have a child of his own, and not only that, but as many descendants as there are stars (vv. 3-5). Then in verse 6, Abraham, "believed the LORD and he counted it to him as righteousness." Abraham had faith, not only that God existed, but that he would keep his promises. It seems clear to me that had Abraham continued to believe in God, but did not believe that he would keep his promise for an heir, that it would not have been counted to him as righteousness. Salvation (being counted as righteous) has always come through faith in what God has revealed. And, amazingly, God has revealed himself fully now, through Jesus Christ. The stakes have been raised and there is now salvation in no one else. One can only be saved through Christ. Christ himself made this plain when he said: "I am the way, and the truth, and the life. No one comes to the Father except through me" (John 14:6). The manner in which someone can be saved according to this passage is through calling on the name of the Lord. Paul sets up conditions on that, though. In order to call they must believe. In order to believe they must hear. In order to hear someone has to preach. In order to preach people need to be sent. One cannot be saved, then, unless they hear, believe, and call upon the Lord. Paul was not out teaching a message that the Gentiles were saved, they just didn't know it. Instead, God called Paul to go to the Gentiles and tell them that they should "repent and turn to God" (Acts 26:20). Those of us Gentiles who are now saved did not need a mere course correction, a revelation of a new name for the God we already worshipped. We needed a life change. We were called out of darkness and into his marvelous light (1 Peter 2:9). We were once dead and now are alive (Ephesians 2:1-10). And we are going out and calling the nations to nothing less. At the end of the day, the "Noble Savage" perspective has a wrong view of man, a wrong view of salvation, and a wrong view of faith. There is no man who is faithful, not to God's system and not even to his own. And salvation has nothing to do with faithfulness to a system, but instead, salvation comes by faith. And this is not just faith in a god, this is conscious faith in Jesus Christ. Without this message, missions is crazy. Missions is hard, time and resource consuming, discouraging, and dangerous. If the nations are saved without hearing, it is not worth it. But I don't believe that the Bible is vague in this area. And my ONLY hope for the Kwakum, and all the unsaved of the world, is that they would know this Jesus and his salvation. And if their only hope is in hearing, missions is not only worth it, it is necessary. If you want to read more about this topic, I recommend John Piper's chapter: "The Supremacy of Christ as the Conscious Focus of All Saving Faith" in Let the Nations Be Glad: The Supremacy of God in Missions. There you will find a more thorough discussion (though with decidedly fewer Lewis quotations) of this issue.